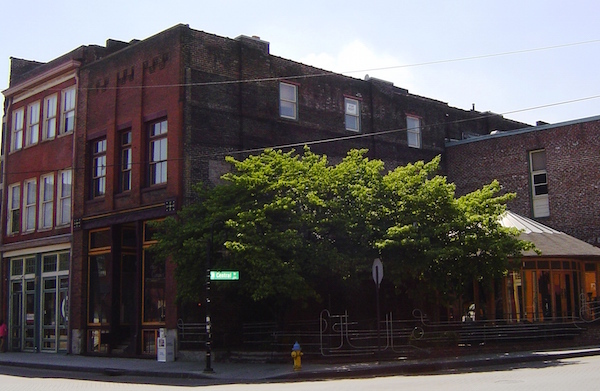 Just steps from some of Knoxville’s best restaurants & cafes, hip entertainment venues, eclectic shops, and grocery store, this two-level loft offers historic charm with hardwood floors, exposed brick, large windows, and generous closet space. Assigned parking space included. Square footage provided by Courthouse Retrieval System and is an estimate only. Buyer to verify size. Location: Traveling south on Gay Street, cross over Summit Hill Drive and enter the picturesque “100-Block”. Pass the Sterchi Lofts and the Emporium Building. At the stop sign, just before the Gay Street viaduct, take a right onto Jackson Avenue. Follow to the next intersection where Central meets Jackson. The Hewgley Park building is located on the left.